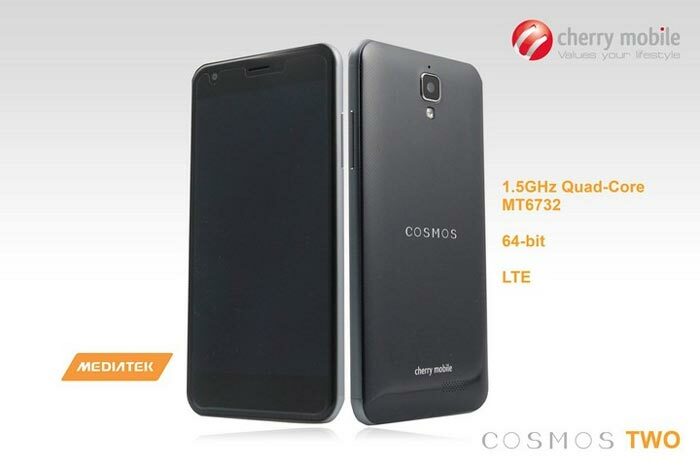 Another smartphone added to Cherry Mobile Cosmos series, the Cosmos two. This is premium looking phone with a decent specs for under 6, ooo pesos. Cherry Mobile Cosmos two has a 5-inch IPS display with scratch resistant corning gorilla glass, 1.5GHz quad core 64 bit processors, 1GB of RAM and 8GB internal storage, expandable up to 64GB via MicroSD. Let’s take a look at the cameras, at the back it has a 14 megapixel autofocus that uses a backside Illuminated (BSI) sensor that work better in low light, at the front a 5 megapixel camera for selfie lover. The specs are quite impressive for the price range. Let’s take a look for the full specification and the official price of Cherry Mobile Cosmos Two.